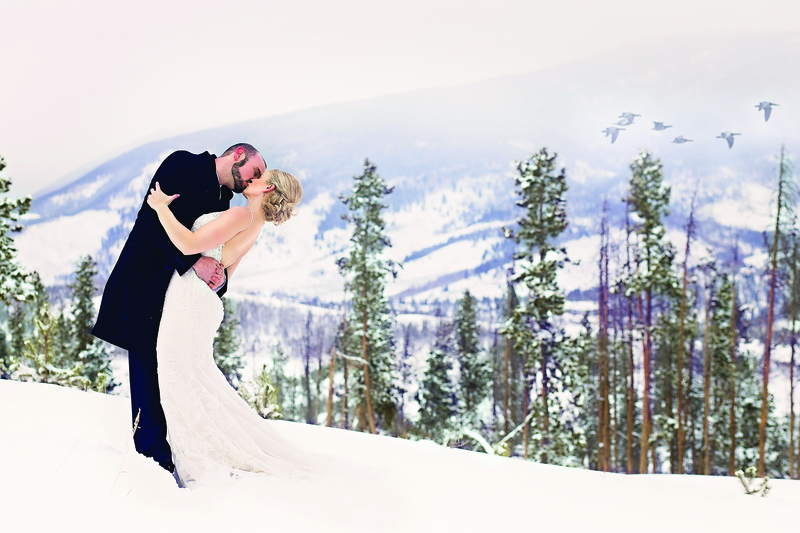 In addition to being a mecca for snowsports, Summit has become an increasingly popular destination for couples looking to tie the knot. What better place to pronounce undying love than in the presence of undying mountains and natural beauty? 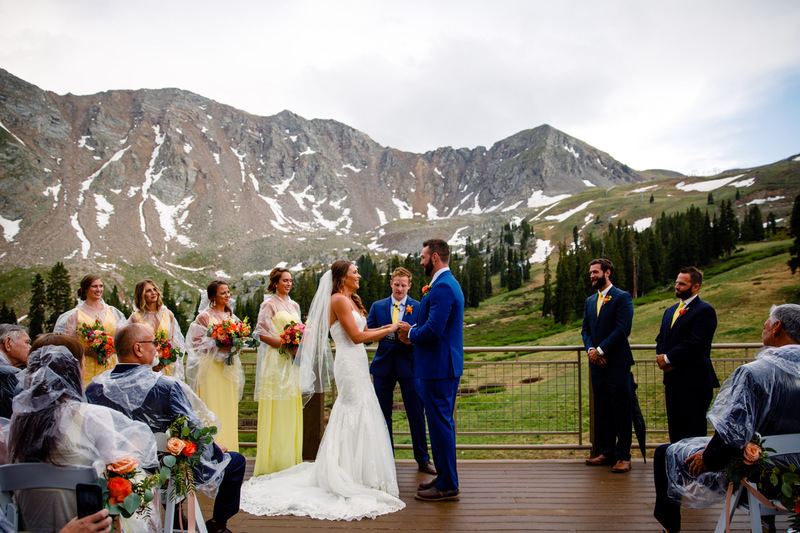 We talked with three couples who chose three different seasons for their special day, to give us a varied perspective on the perfect Summit County wedding. Mountain Connection: Blake and Amanda met in Indianapolis, and one of the first trips they took together was to Olympic National Park in Washington. 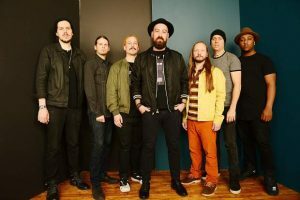 That was “where we fell in love with this lifestyle,” Amanda said. After a trip to Rocky Mountain National Park, the two knew that Colorado was exactly where they wanted to be. The pair now live in Westminster, Colorado, and often visit the High Country. Weather: “The one thing Blake told me was he wanted to get married on a mountain,” Amanda recalled. 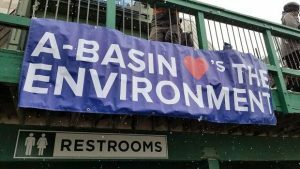 After briefly considering Keystone, the couple settled on A-Basin for its breathtaking backdrop of the Continental Divide. “Let me tell you about our weather,” Amanda said as Blake laughed, when asked about her special day. 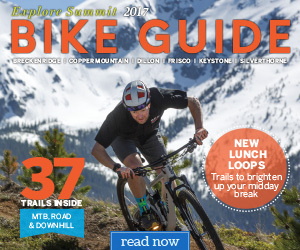 Early July was also a time of wildfires for Summit County, which made them nervous. Right before their ceremony, a storm came through. Luckily, “the minute the ceremony was over, the sun came out and the clouds parted, and it was the most beautiful day after that,” Amanda said. 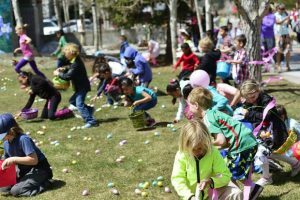 They joked that it gave their guests a chance to experience the changeful mountain weather. Recommendation: Both Blake and Amanda agreed that the summer wedding was perfect for them. “You had that that real mountain feel but you still had the colors of the green and the wildflowers,” Amanda said. “It was absolutely perfect. 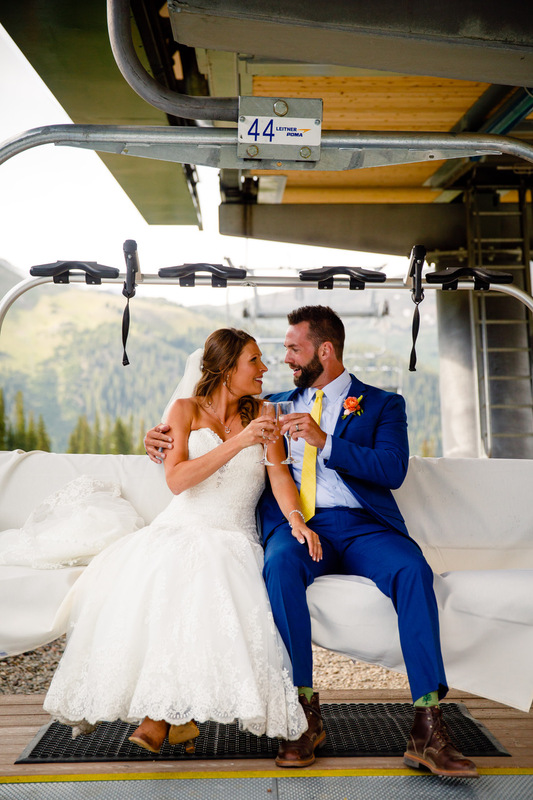 Mountain Connection: Heather and Kevin met while they were both working at Keystone Resort, Kevin as a chef and Heather in the human resources department. They hung out as friends for three months before Heather finally agreed to go on an official date. The rest is history. 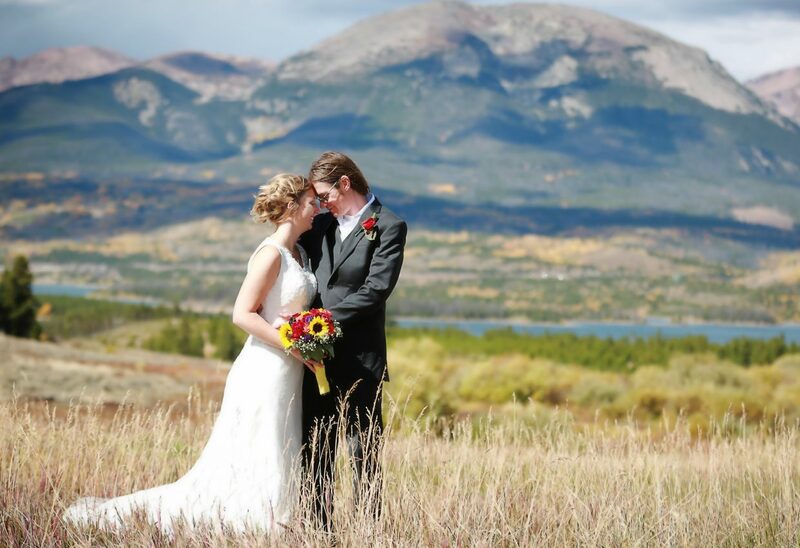 Recommendation: “The changing aspen leaves in the fall create the most gorgeous backdrop possible for a mountain wedding,” Heather said. 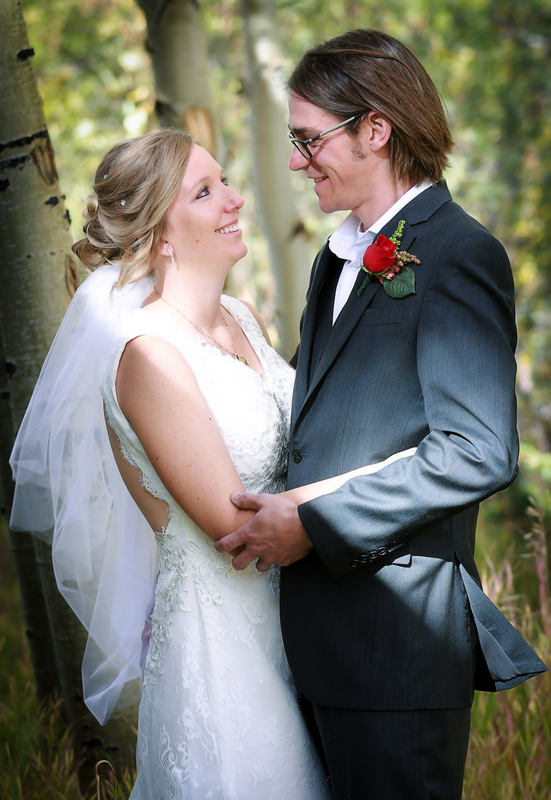 Mountain Connection: Nicole and Aaron Dorn have lived in the mountains for the past two years. 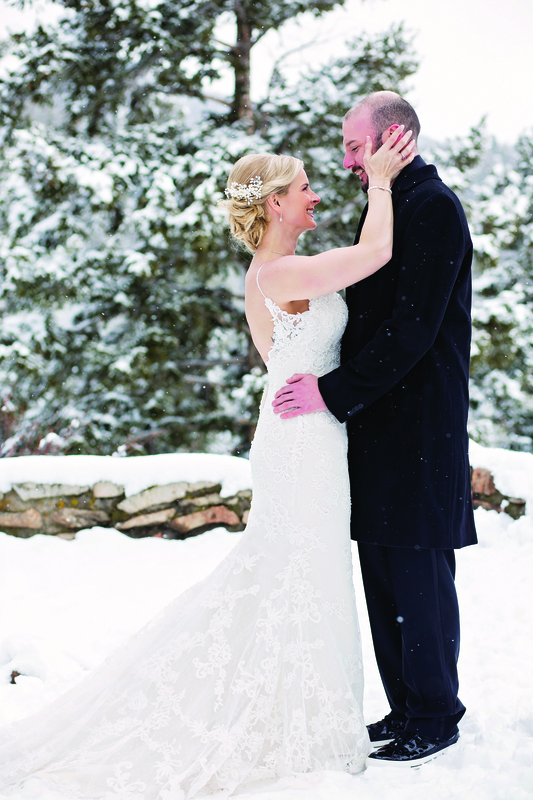 “My husband has always been in love with the mountains,” Nicole said. 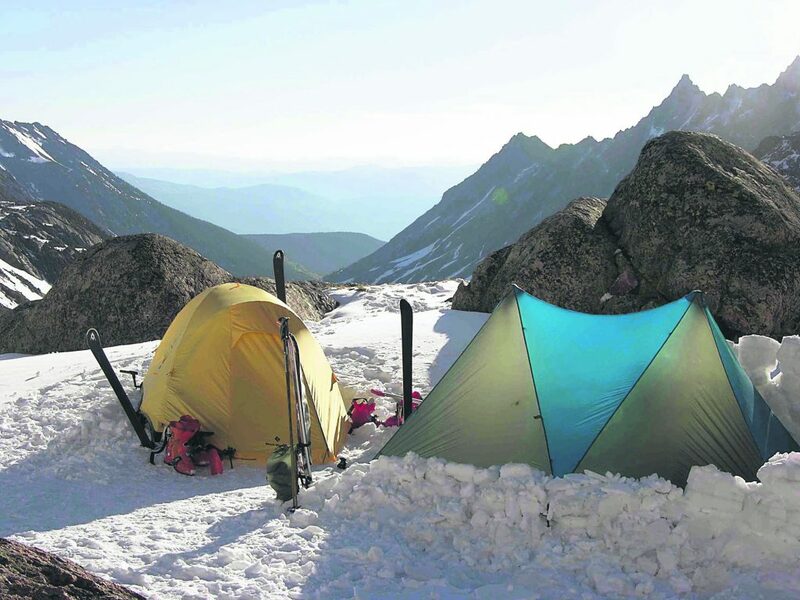 Though she was born in Florida, she has also found herself drawn to the Rocky Mountains’ jagged terrain. “It was kind of an adjustment, but I fell in love,” Nicole said with a laugh. 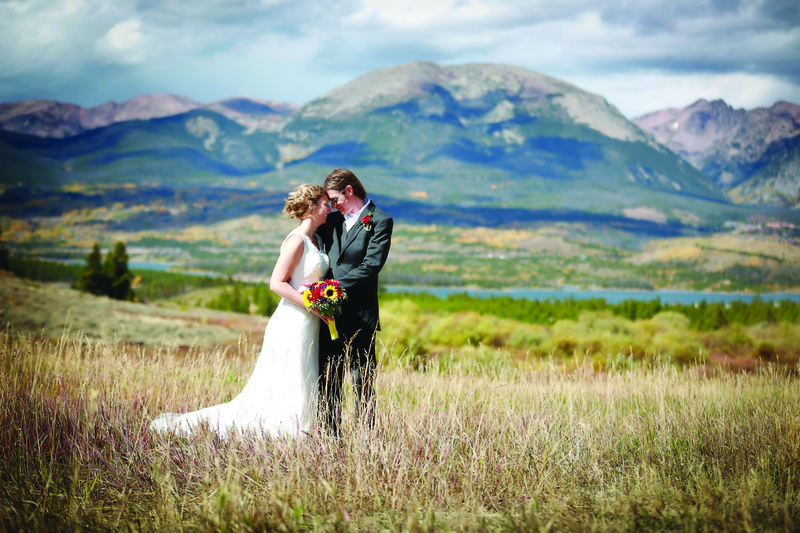 Thus, both were excited to have the mountains as the backdrop to their special day. Color Scheme: Ivory and dark purple. Weather: Two days before the wedding, a blizzard coated the entire county in snow, setting the stage perfectly.